Hi! I'm Vanessa and I blog at Designs By Sessa! I'm excited to be here with you guys! Let me explain my little boy creation below and all that went into this little design process! Here's the thing. I'm not generally inspired by music in my sewing. Give me texture, color, style, pattern, and my mind starts to spin. Music? Nope. Nothing. 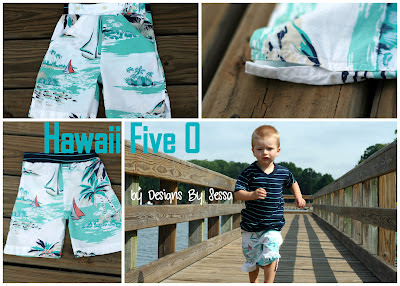 Last time, I used Hawaii Five-O's theme song in my outfit, but truth be told, I really just wanted to re-purpose a Hawaiian shirt into some cute shorts with a button waistband, and I found a song that would match my already planned out style. That happened again... maybe I'm not cut out for these Sew in Tune posts! Ha! When it comes to my signature boy style, I love preppy with a twist. That lead me to exploring bands like One Direction's "What Makes You Beautiful". I thought I'd had it settled, ya know... They had that preppy style that I love (with really goofy hair, which I don't). But like I said... my style is preppy with a twist. More like adding a dash Of Monsters and Men weirdo style, a tad different in some small aspect. I mean have you seen their music video for Little Talks? It's just different. Kind of like this little pocket on an otherwise very preppy little boy sweater. Putting these two bands together is more my style, because lord knows, I can't just sew a "normal" anything! I always have to add my own thing to it. 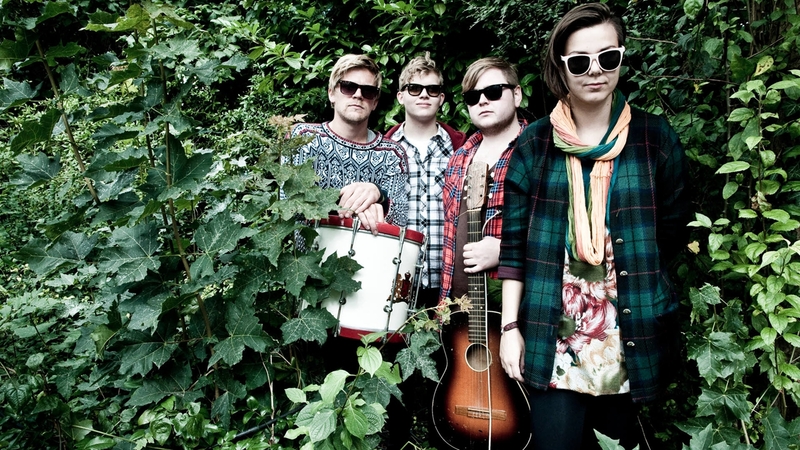 When I found this image Of monsters and men, it just made me laugh. Don't they look like deer wearing glasses just standing out in the woods? Ha! So we did our own little woodland photo shoot. He's always been my little GQ baby. Which did turn wacky, because getting good photos of a moving 2 year old is about like me trying to get inspired by music, no lie! The last aspect of this outfit is actually his belt. Believe it or not, I refashioned two belts into one. I thrifted both belts for a few dollars. I loved the blue/white pattern, texture, but not the brown leather style or the fact that it was too big for Cai, too. I found a similar sized belt with metal hardware I liked. You will need these tools. The only sewing you have to do is when you fold it over your new belt over the new hardware. Sew slowly through the thick fabric back and forth a couple times. It's really that easy! And there you have it! Thanks Stacey and Melissa for having me (again)! I'd love to have you come check out my blog, Designs By Sessa! Or follow me on Instagram (vanessadbs)!